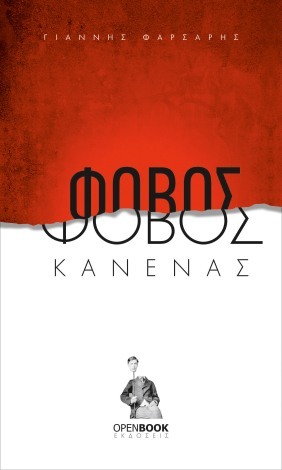 ιδεόστατο : Φορητή συσκευή ανάγνωσης του 1926 ! Φορητή συσκευή ανάγνωσης του 1926 ! 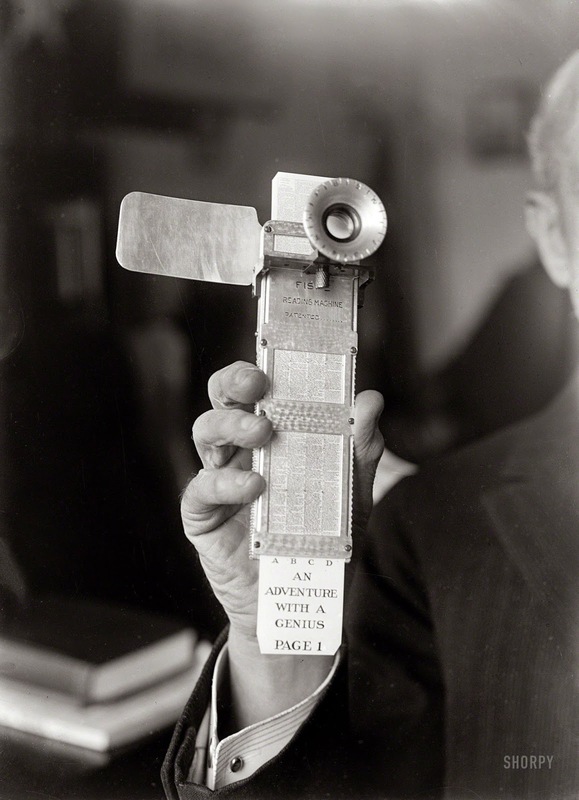 Circa 1922, this is a photograph of the Fiske Reading Machine in the hand of its inventor, Rear Admiral Bradley Fiske. NEW YORK, March 30 — (AP) — A “reading machine” that folds into the size of a fountain pen and is designed to do away with bulky books has been invented by Rear Admiral Bradley A. Fiske, retired, the Herald-Tribune says today. Admiral Fiske has completed a working model of the invention, which he describes as likely to render obsolete printing presses and typesetting machines and to revolutionize the publishing business. The device is also expected to make eyeglasses unncessary for many readers who now wear them. The invention, which Admiral Fiske calls the “Fiske reading machine,” consists of an apparratus, not unlike a lorgnette [eyeglasses with a handle], on which are mounted a magnifying lens for one eye, a shield for the other and a rack to hold the reading matter. The reading matter for use with the machine is produced directly from typewritten manuscript by photography and is so microscoptic as to be undecipherable with the naked eye. The admiral has had the first volume of Mark Twain’s “Innocents Abroad,” a book of 93,000 words, prepared as an example, and it appears as a 13-page pamphlet three and three-quarters by five and three-quarters inches in size.